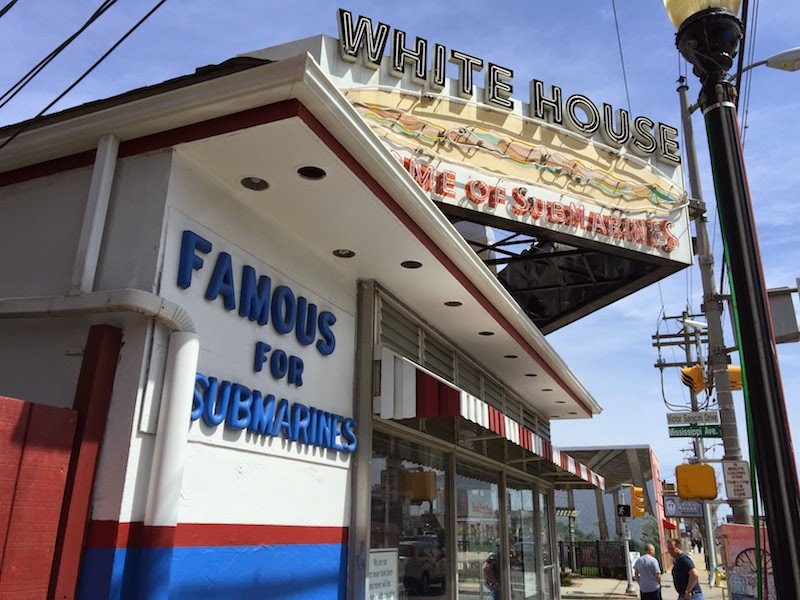 White House Sub Shop is in Atlantic City a few blocks from the Boardwalk. Some have said White House Subs makes the best sub sandwich there is. And I have to agree! 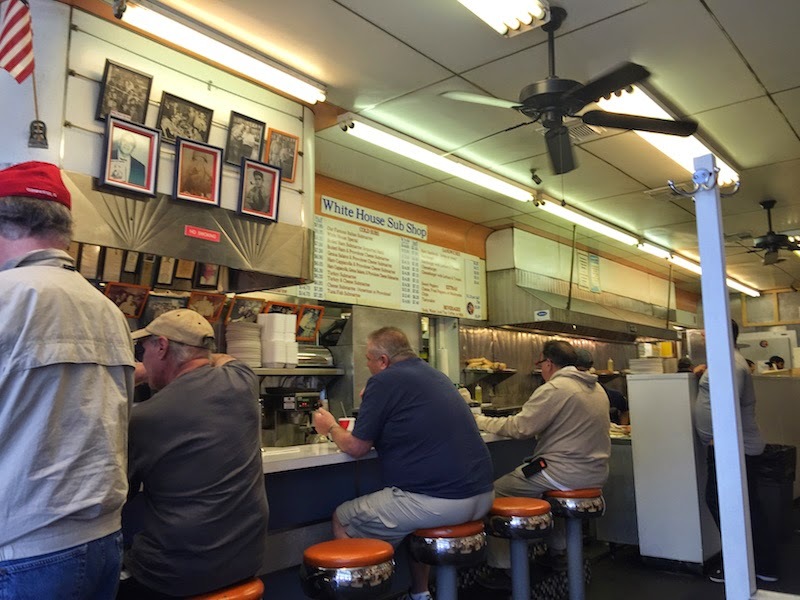 Read my full review of White House Subs in Atlantic City after the break. Since 1946, White House Subs has been making sandwiches with the best ingredients. 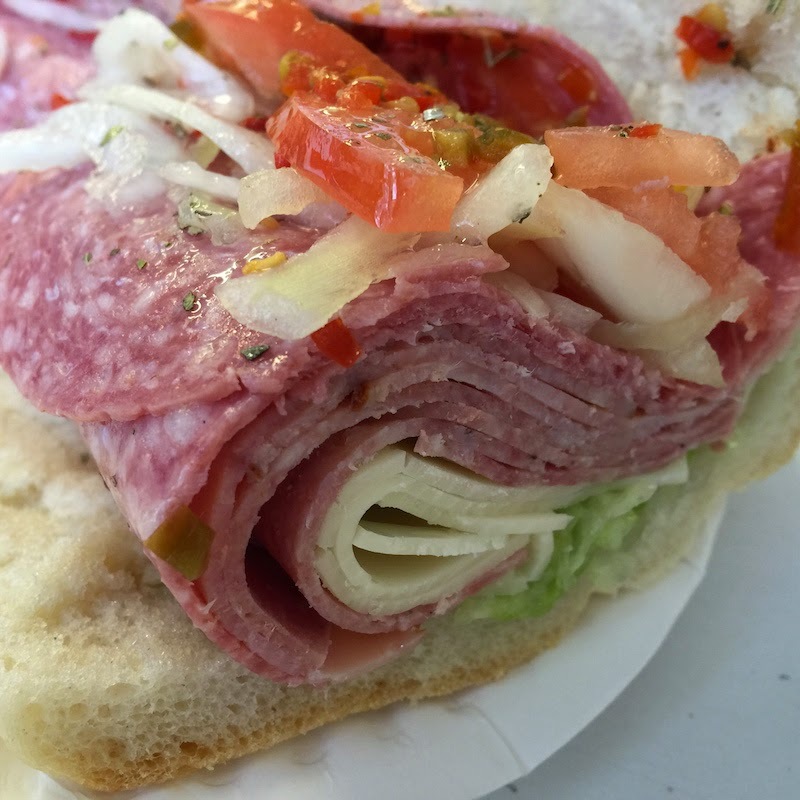 The cold cuts come from Philly, and the bread arrives several times a day by shopping cart from the bakery across the street, Formica Bros. Bakery. Then, they are expertly assembled with just the right amount of Italian dressing. Don't ask for mayo since they never use it. 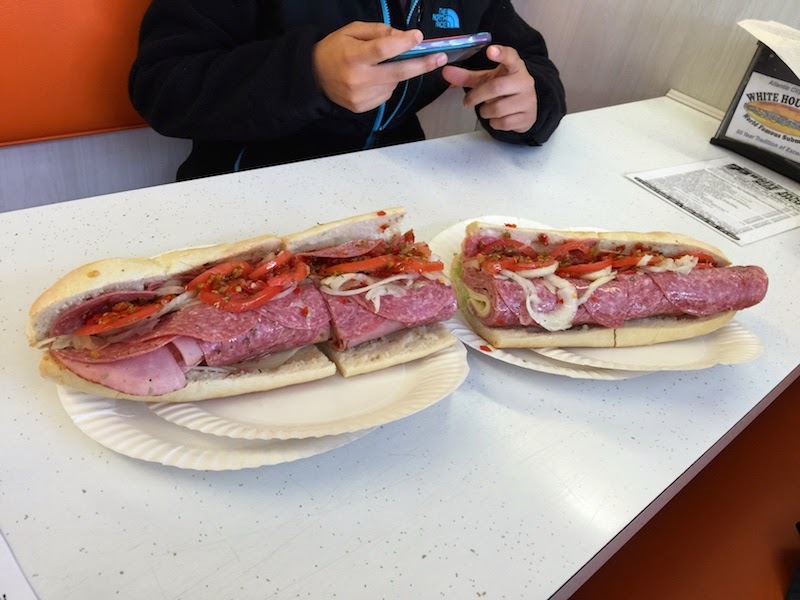 We ordered the White House Special, which is the Italian sub with extra meat (salami, Genoa ham, and capicola) and Provolone cheese. Add in the tomato, lettuce, thinly-sliced onions, and dressing, and this is a delicious sandwich. Bring along a friend if you order the whole sub. It's so big that it arrives on four plates, and it's cut into quarters. Even half of this sandwich is a big meal, and I was stuffed for hours afterward. TIP: Get there early. They open at 10 and by the time we arrived at 11 all the tables were full. What do you think of the sandwiches at White House Sub Shop? Let me know in the comments below!